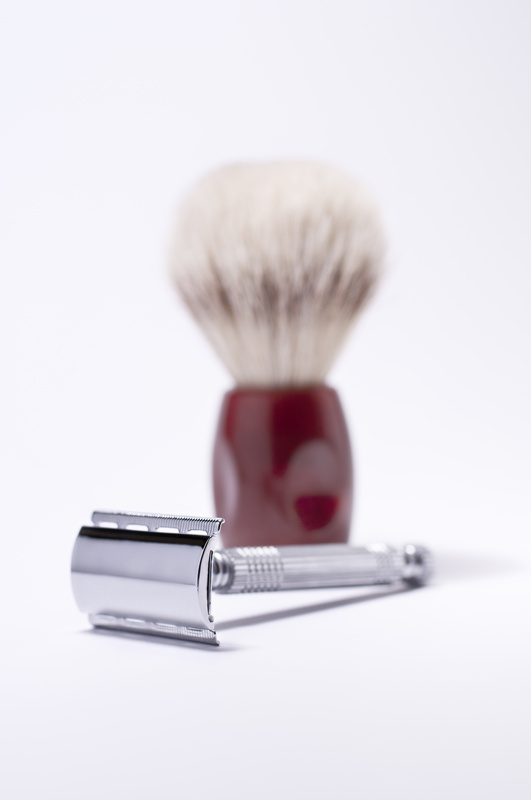 Why is selecting a good safety razor blade important? Blades often get the short end of the stick. They’re inexpensive and replaceable, so it’s easy to focus instead on purchasing a nice razor handle. But your double edge safety razor handle is merely the device that holds that sharp piece of metal which ultimately makes contact with your face. Because each man’s face is different – we all have different skin types, hair textures, and contours – a sharp blade that one wet shaver swears by may tug and pull at another man’s skin. If you participate in wet shaving forums, you’ll hear raves about brands like Feather, Crystal, and Derby, coming from men who had amazing experiences with them. But take their raves with a grain of salt until you try the blade for yourself. Think of it this way: Every brand will have people who love it and people who hate it. If you’re just venturing into the wet shaving world and feel a little overwhelmed by the sheer amount of blade options, our advice is to purchase a sample pack so you can find the right one for you. We sell a couple sample packs with blades from different manufacturers in each one. Once you determine which one you like, you can then invest in a larger quantity of blades. What is the correct angle at which I should hit the skin with the blade? If you’ve been shaving with cartridge razors up until now, realize that unlike cartridge razors, safety razors do not pivot. This means you must pay much more attention to the blade angle to avoid nicks and cuts. Ideally, your blade’s edge should strike at almost a 90 degree angle to your stubble, nearly parallel to your skin. Try to keep the cap’s edge in contact with your skin. Take extra short strokes on areas that have more curves – your chin, neck, and jawline – so you can more easily maintain blade angle. I’m shaving at the correct blade angle. Why am I still getting nicks? When shaving, take into account that some razors are more aggressive than others since they expose more of the blade. If you have thick hair and/or normal skin, aggressive razors may provide you with the pefect shave. But if your skin is sensitive, you might find yourself in a bit of a (bloody) mess. In the end, it comes down to experimentation. Try different blades in combination with different double edge razors until you get a shave that’s comfortable and enjoyable. It sounds like a lot of work compared with simply grabbing a cartridge razor, but trust us, once you master the art of safety razor shaving, the closeness of the shave is incomparable.